50 years, 6 months, 9 days old age. Hugh Jackman will turn 51 on 12 October, 2019. Only 5 months, 20 days, 7 hours, 43 minutes has left for his next birthday. Hugh Jackman has celebrated the total number of 50 birthdays till date. See the analysis by days count and bar graph. 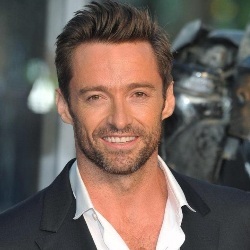 Hugh Jackman was born on 12-10-1968 in New South Wales, Australia. He is an Australian Film Actor, Television Actor, TV Host, Theatre Actor, Philanthropist, Film Producer, Singer, Voice Artist, Video Game Artist & Comedian who best known for his work in Hollywood Industry. Born in Sydney, New South Wales, the actor had spent a lot of time at the beaches and on camping trips during his childhood. He wanted to see the world. He attended primary school at Pymble Public School and later the all-boys Knox Grammar School. He graduated with a BA in Communication in from the University of Technology, Sydney. He took drama classes in a final year. He studied acting further and was interested in doing theatre.He was offered a role on the famous soap opera Neighbours but denied it. Hugh Jackman was offered his first professional job for 'Correlli'devised by Australian actress Denise Roberts and it was a 10-part drama series on ABC. Later he worked on many projects, Beauty and the Beast, Erskineville Kings, Law of the Land, Blue Heelers etc. He became popular with his role as Curly in 'Oklahoma! 'He get a breakthrough with his role as'Wolverine' in 'X-Men (2000)'. Jackman reprised his role in 2003's X2: X-Men United, 2006's X-Men: The Last Stand, and the 2009 prequel X-Men Origins: Wolverine. Later he continued his role in sequels of this series in 2014 and 2016 as well. He starred as Leopold in a romantic movie'Kate & Leopold' in 2001. He hosted Tony Awards three consecutive years 2003,2004 and 2005. He earned an Emmy award for his performance in 2004. He worked in different films later and in 2007 he guest-starred and produced a television musical-dramedy series 'Viva Laughlin' which was canceled after two episodes on only. He was featured in films like 'Australia'He gave voice to a character'The Easter Bunny' in an animated film 'Rise of the Guardians' in 2012. Jackman joined with his wife and his longtime assistant John Palermo to form a production company named' Seed Productions'. He had 'carcinoma' and also had 'vocal chord hemorrhage'. He is a global advisor of the Global Poverty Project and had narrated a documentary for it. He has been doing charity work and also providing microcredit for the prospectus entrepreneurs. He is a multi-instrumentalist and plays piano, guitar, and violin. He does yoga and is an enthusiastic practitioner of Transcendental Meditation. He has been the face of several famous brands including 'Montblanc',' Micromax' etc. He was born to Grace McNeil and Christopher John Jackman( a Cambridge-trained accountant).His parents were English and were the "Ten Pound Poms" migrants coming to Australia in 1967.He is the second child and has four older siblings.He has a younger sister from his mother's remarriage. He married Debora-Lee Furness in1996,.Furness had two miscarriages, after this, the couple adopted two mixed-race children, Ava and Oscar. Following graduation, he spent a gap year working at Uppingham School in England as a Physical Education teacher. The role of ‘Wolverine’ in X-Men 2000 was originally written for Russel Crowe and Jackman’s name for this part was suggested by Crowe only. He sang the Australian national anthem at the 1999 NRL Grand Final. Jackman was asked to consider taking on the role of James Bond before Daniel Craig was chosen to play the character, but turned it down due to other commitments. He starred as a guest in 2011 edition of WWE Monday Night Raw and assisted Zack Ryder in a win against WWE United States Champion Dolph Ziggler.